Hearing only starts with the ears. It is the auditory system that allows the process of hearing to occur. That process begins when soundwaves enter the outer ear and are channeled through the other complex parts of the ear, the nervous system and into the brain. 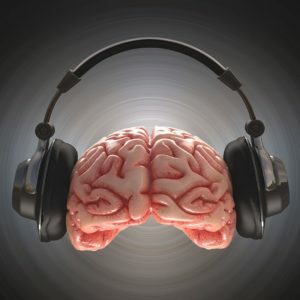 The physical characteristics of the original sound are preserved as various types of energy that the brain recognizes and identifies as a particular sound. So, in actuality, we hear with our brains! However, when it comes to maintaining the auditory system, we lose it if we don’t use it. Just as the muscles in our bodies become sore when we exercise after a period of doing nothing, the auditory system has a hard time getting back into shape, especially if your patient has gone a long time without treating their hearing loss and they suddenly decide to wear hearing devices. Their brain will lose some of its ability to process information due to lack of stimulation and as a result, it will be more difficult to recognize sounds… even with hearing devices. To minimize the impact of auditory deprivation, your patients should address hearing loss sooner once diagnosed, rather than when the condition gets worse. Providing solutions and positive outcomes for patients with advanced/longstanding hearing loss can be done but with greater challenges, as the condition of the neurological system is weak. Early intervention yields better outcomes. We recommend patients receive a baseline hearing test beginning at the age of 40. During this test, we can determine the lowest volume level they can hear at various frequencies or pitches. We can then reference this at subsequent testing and monitor changes. Once your patients’ hearing threshold is identified, we encourage them to have periodic hearing tests (every two or three years) to help prevent and/or identify hearing loss earlier than they otherwise might. If they are hunters, musicians or woodworkers, or are frequently and consistently exposed to loud noise, an annual hearing test is recommended. It is only through preventative care and referrals from PCPs and ENTs that we can help patients prevent further damage to their hearing system.